Congratulations on considering Denver for your next event! 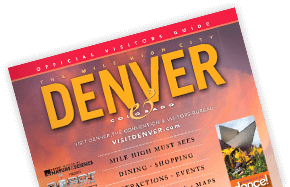 With all the convenient hotels, a walkable downtown, exciting entertainment, diverse cultural attractions and culinary offerings Denver offers, you&apos;re sure to find what you&apos;re looking for in the Mile High City. VISIT DENVER meeting planning experts will help find the best location for your corporate meeting, tradeshow, conference or event. Submit your RFP!